Where do our personal values come from? Are we born with a set of preconditioned principles or are we socialised to them? Experiences outside of our comfort zone invariably puts our values to the test. When we travel, move to a new city, meet someone new, or start a new job - we are happiest when we are able to be our most authentic selves. So how do we align our choices with our values? At age 19, I embarked on an exploratory journey to see the world which led me to discover inspired learning spaces like Kaos Pilot in Denmark and Hyper Island in Sweden and develop my passion and practice in human-centered design and co-creating meaningful spaces for people to connect, learn from one another, to be their authentic selves. One question that has followed my whole life: As a woman of the world split by so many different cultures, how do I live an authentic life? As a Global Citizen, I define a global mindset as an awareness of the world and the connection between people and nature. Some practices that enable me to build this awareness include creating reflective spaces after any project to consider the impact and ripple effect of my work, and yoga. Carol Sanford’s psychological research that equates having an “internal locus of control” or sense of personal responsibility for outcomes (good or bad) with a higher degree of happiness, health, and creativity. It resonates because we should step into the world and bring who you are, just as you are, but in relation to the world around you. Can we remove ourselves from concerns that come from an egoistic perspective and reframe our thinking to be our authentic selves whilst creating a new reality around us? Connect with Alisa to share your thoughts! Born in a very small town in Brazil, my first international experience happened only two years ago and every experience since then confirms for me the impossibility of fully grasping human complexity, and that living authentically is predicated on recognising the uniqueness of ourselves and others. As a WISE Fellow and soon-to-be student at Minerva, my work as a process facilitator aims to bring the best in people by bringing diverse groups together to find things in common with each other whilst also admiring differences. 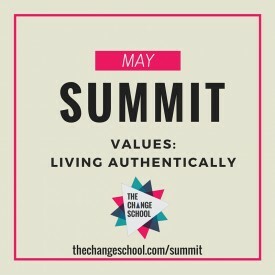 Values are a unique mix of compounds brought together by people - manifestations of universal human needs (such as recognition, security, love, self-expression, and community) that bridge people together whilst driving them to pursue and fulfil these needs in different ways. 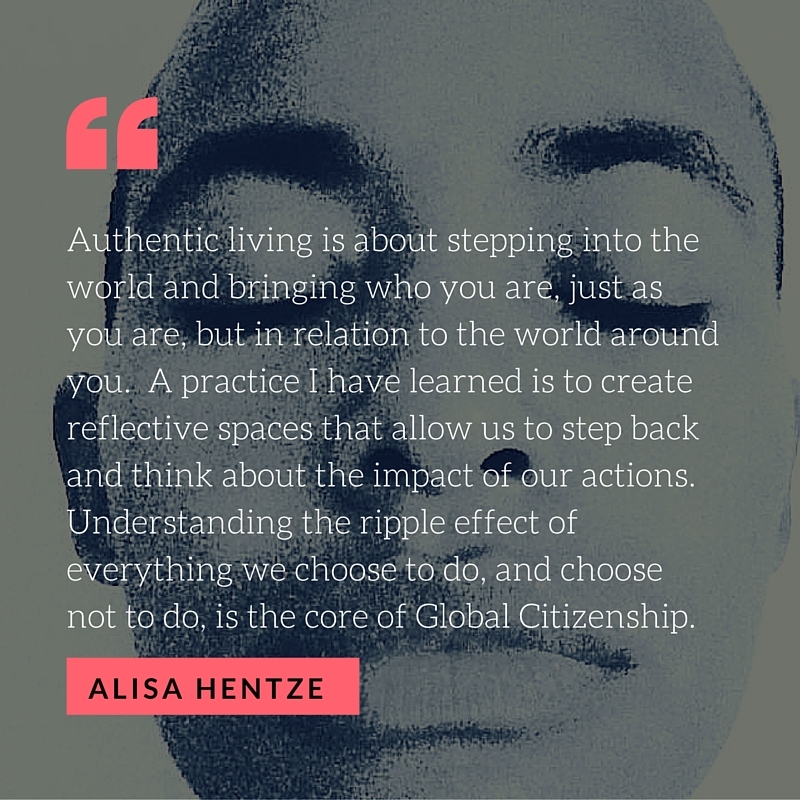 Global Citizenship isn’t about how many countries you’ve lived or traveled to, but your capacity to identify what you share with people who are extremely different to you, whilst being able to respect and appreciate the beauty of these differences. It is a way of life - a choice to care about people you may not yet know and may be thousands of miles away from you, and to do the really hard job of loving people who are different from you and recognising the special things that make those people who they are. Connect with Vini to share your thoughts! Emerging from my professional past in publishing and running an events company, I reached a point a few years ago that led to a period of questioning and ultimately deciding to do work that connected to my values and who I was. Through self-reflection and the help of other people, I came to realise a responsibility I had to leverage my skills and experiences and help others to do the same. This exploration has brought me to where I am today - helping and guiding people to get inside who they are and to use that knowledge and understanding to improve their lives. Values have been at the forefront of my personal and professional life and have guided my career choices. My work as a coach and psychotherapist enables me to fulfil my core values: identifying, understanding and realising potential, and caring for other people. The concept of Global Citizenship is both interesting and challenging because of the similarities and differences each of us has experienced. 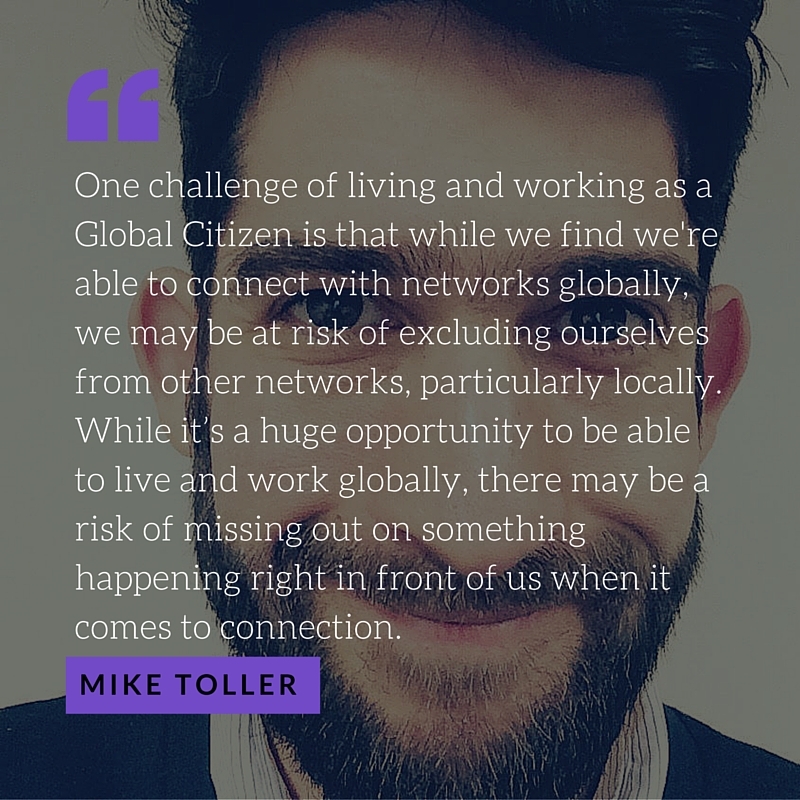 Technology has become a foundation stone of living and working as a Global Citizen by enabling meaningful connections to be made through travel and communication. But it is also important to bear in mind the opportunities to create meaningful connections in our own backyard - communities and network we often forget or neglect in global-minded context. What are your personal values and how are you currently living those values? Which Which values aren’t you living or basing your work on? Connect with Mike to share your thoughts! Raised by a Mexican-American ex-US marine court drill sergeant father and Japanese mother who was a housewife, life at home was structured, organised and disciplined. Aside from the fact that my father’s work required us to move frequently to different parts of the world. My perception was that I was always moving schools at the wrong time because the relationship I took time and struggled to build suddenly ended. Being an only child and an introvert, the idea of having to restart an build new relationships was quite daunting to me and I wasn’t able to handle the changes as I should have. I am not from here, I am not from anywhere. I am half Japanese and half Mexican-American but in reality I’m neither one. My mother is Japanese and I can speak the language, except in the eyes of a Japanese person I will never be truly Japanese. In fact they have a word for people like me - a “hafu” is biracial and ethnically half Japanese people like me. As for my other side, I never took the time to learn the language or embrace the culture as I should have. I wanted to be part of these cultures but I always felt something was missing or that I didn’t belong. Things started to change in high school when my independence gene appeared inside of me. I moved from Japan to San Diego for University and although it was hard to communicate and make friends at first, I endured. Doing academically provided me with a pillar. I learned to take advantage of my ethnicities and soon decided I wanted to live an authentic life. I recognised a unique skill set and perspective and ability to understand the world with which I could create value. I realised that it was OK not to define myself as half anything, and that those labels had placed limits on me and prevented me from having a growth mindset. Use the strengths of your culture to your advantage. When it comes to your weaknesses, consider the things you can learn from other cultures to enhance your skills. Always have an open mind rather than being fixed to your own ways or rules. Come with your teapot half full so that you can always fill the upper half with new knowledge and skills. Always be listening. Listening allows you to learn, understand, and hear people so that they feel your inclusiveness and acceptance of who they are. The next time someone asks you where you’re from, what will you say? 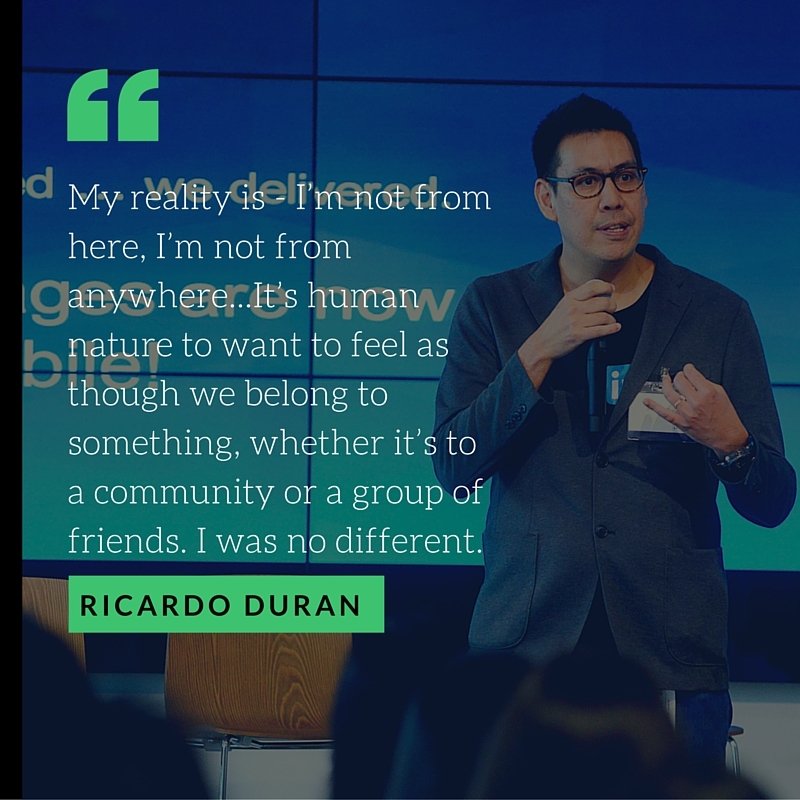 Connect with Ricardo to share your thoughts! As a young girl growing up in India, I was fortunate to travel on holidays with my family to discover other parts of India that are steeped in history and culture. This was my first taste of what being a Global Citizen is all about. My first trip away from home was to South India - at the time, it was a big deal for a young Indian girl to be fortunate to have this experience. It allowed me to appreciate that even in India, with so many cultures and languages, we talk about being Indians first. My global perspective grew with my experiences - I moved to to the UK to complete my MBA in Manchester, did an exchange program in Melbourne, moved back to London for work and saved money to take one vacation to a new place in Europe every quarter. Meditating 4-5 times per week every morning allows me to reflect on things that are bothering me and working through these internally by tapping into my conscious to arrive at the right solution. Daily prayers of gratitude remind me to appreciate all that I have, especially at difficult times. Journaling helps me to write down my thoughts when I feel conflicted. Reading has always helped me through difficult times in my life by prompting me to think about the things I should or shouldn’t do. Spiritual study classes have enabled me to connect with like-minded people and guide my own development with spiritual and philosophical principles. I always believe a lot in talking - to a trusted friend our often my husband is the person I speak to the most to make sure what I’m doing feels right to me. Volunteering and giving back to society reminds me to stay anchored in what I believe in. Finally, becoming a parent is a constant reminder for me to be a better human being and to constantly keep aligned and connected to my values. Circumstances in our lives will always change and things around us will constantly change. How do you choose what is right / wrong and which values you want to stick with? Connect with Divya to share your thoughts!